Considering how Other M picks up directly after the events of Super Metroid, it’s easy to assume that it was a traditional 3D interpretation of that seminal classic. However, the minutes-long opening cinematic’s copious VO that characterizes a Samus Aran deeply affected by the baby metroid’s sacrifice, quickly reveals that Yoshio Sakamoto and Nintendo SPD Group No. 1 are willfully neglecting that influential games intuitive storytelling. Other M is the logical conclusion to the misguided ideas implemented in Metroid Fusion. After her encore on the Space Pirates home world Zebes, Samus Aran finds herself recuperating on a Federation medical facility. Following a painfully explicit tutorial on her entire suite of moves, items and abilities, that alone is far more egregious than any single moment in all of the other games, she boards her ship and heads out to the depths of space, only to intercept an SOS from an abandoned science station. 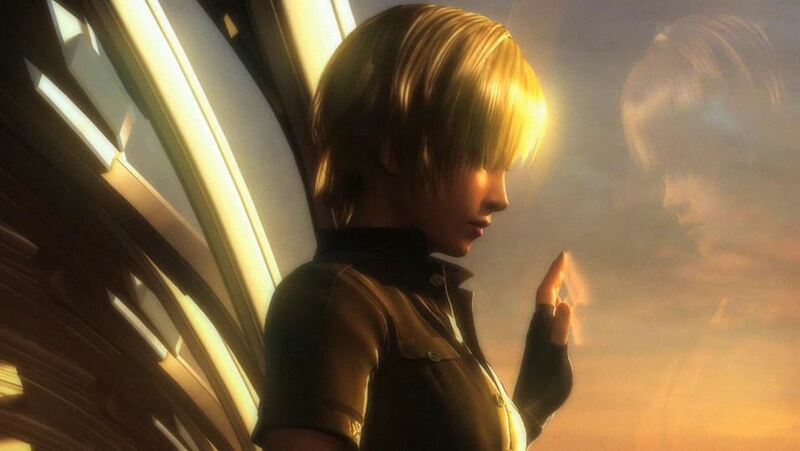 Moments after she docks inside this Bottle Ship, Samus engages a Federation military squad led by Adam Malkovich, her former CO whose team has been sent in to investigate why the facility went down and why it’s littered with the corpses of its crew. Confronted by her unresolved emotions of the reunion, Samus agrees to cooperate and delves into the Bottle Ships depths. As a three dimensional translation of the side-scrolling series, Other M is fascinating for how it’s the polar opposite of Prime in virtually every way, despite both coming from the same central premise. The design answers any questions as to why Retro Studios decided to use a first person perspective when its framed from an on-rails third person camera. Given how much more the games elements support the third person perspective than vice-versa, we can only assume that SPD Group’s number one priority was to establish a consistent framing with the rest of the series. The primary challenge with the translation from there comes from the fact that Metroid’s combat is ranged and not melee. The reason why the Arkham games work so well is because Batman’s close quarter’s engagement only requires the player to worry about character placement and button execution. From there, the game invisibly connects the player to their target, but its force is so negligible that you hardly notice. Things change when you need to shoot in three dimensional space, including targets off screen, where similar mechanisms are implemented to facilitate the correct firing angles over greater distances. It’s no surprise then to see that when Team Ninja tackled the combat system, they had to outfit Samus with a generous auto-locked targeting system. Unfortunately, with every additional foot a shot travels, the more obvious it is that those aids are taking control, breaking the illusion and revealing the tricks for what they are. When Samus is automatically pivoting thirty degrees and nailing an enemy you can’t even see, there’s little question about whether or not you’re making those hits land. With that done, combat needs to have another draw and largely becomes about how quickly you can hit the fire button. In this one aspect, Other M successfully recreates the micro pacing and euphoria that accompanies slamming the fire button that the series has had thus far. But the older games still put player action completely at the tips of their fingers rather than letting the system simulate it so you still feel responsible for overcoming obstacles. The automation is also applied defensively into a dodge that executes as long as you’re pushing in a direction when you’re attacked. There’s no getting around the fact that Other M is at the mercy of the Wii remote itself, but what isn’t immediately apparent is why Nintendo decided to configure the controls based around holding the controller sideways like a NES pad when Prime 3 had proven the full nunchuck config was a viable option three years before. If the framing on Samus was the priority, then the right angles that build the world are more visually consistent with the d-pad than the thumbstick. Designing a construct that relies on automation rather than skill keeps the player from harmonizing with the game enough as it is, but by slavishly bolting Samus’ large cache of abilities, ones you’ll need to extend the lock-and-key progression, to the Wii remotes modest functionality, the two are further separated. 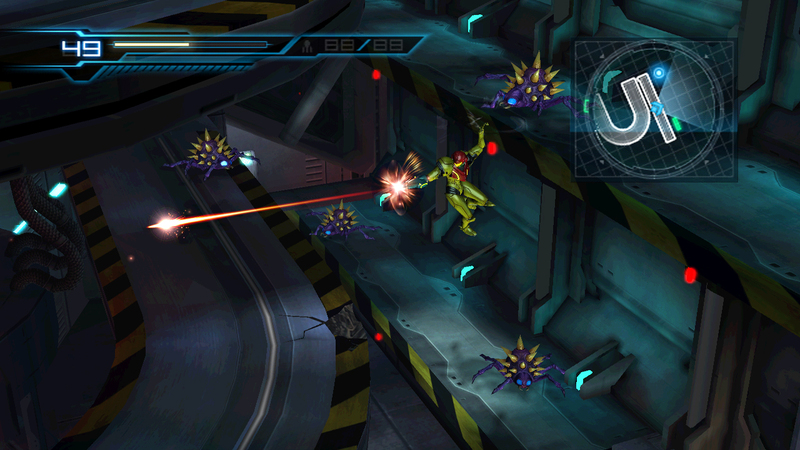 In order to fire a missile, the player needs to point the Wii remote at the screen, at which point the game sights down Samus’ arm cannon in first person. Forget for a second how seriously this betrays Other M’s aesthetic integrity, it also breaks its immersion. Consider what results from what should be the simple act of firing missiles: when the player is forced to completely reposition their hands so they can point the remote at the screen and are rewarded with the uncomfortable disorientation that comes with the move between looking at Samus from one angle in third person and looking from her at a different one in first, they are physically and mentally ejected from the games internal reality. The decision to eliminate health pickups is presumably an attempt to streamline the game with modern ideas, but only adds more responsibility to the overtaxed controller. You can still restore your inventory at save stations, but by manually holding the controller up and the A button in, you can replenish your stocks. That’s great when you’re low on missiles, as you can do it anywhere, but iffy for your health, since you can only do so when it drops below 50% of your last energy tank. Considering that only happens when you’re in active engagements, it means that you’re too often incentivized to run directly into enemies to take a little damage so you can recover more. With her role as a galactic bounty hunter, Samus has always had archetypal detective qualities appropriate for exploring mysterious alien planets and Other M makes the plot even more explicit than Fusion had, despite the virtually identical setup. While primarily a massive biological research and development complex, the Bottle Ship also acts as a wildlife preserve featuring full holographic environments that simulate various natural habitats. 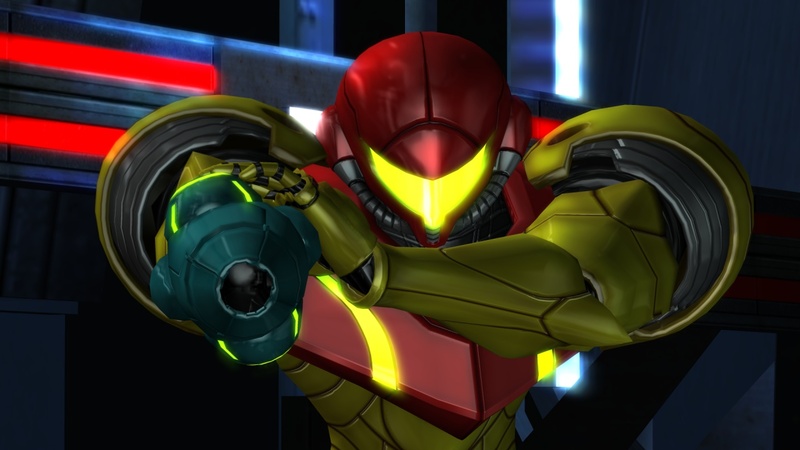 Where Metroid had relayed its narrative organically through its gameplay and Samus was characterized purely by her actions, Other M features long-winded CG cut-scenes and exhausting internal monologues, often accompanied by flashbacks of the bounty hunter as a young, rebellious soldier under Malkovich’s command. It’s bad enough that the technique is so poorly executed to the point that several times her dialogue interrupts another characters exposition to fill in gaps of information that character should have provided themselves, redefining the bounty hunter as a self-reflecting woman full of doubt, rather than the strong, no nonsense warrior that had explored treacherous alien worlds. Terrible as these new techniques are, things get worse when applied on top of the item-based progression. 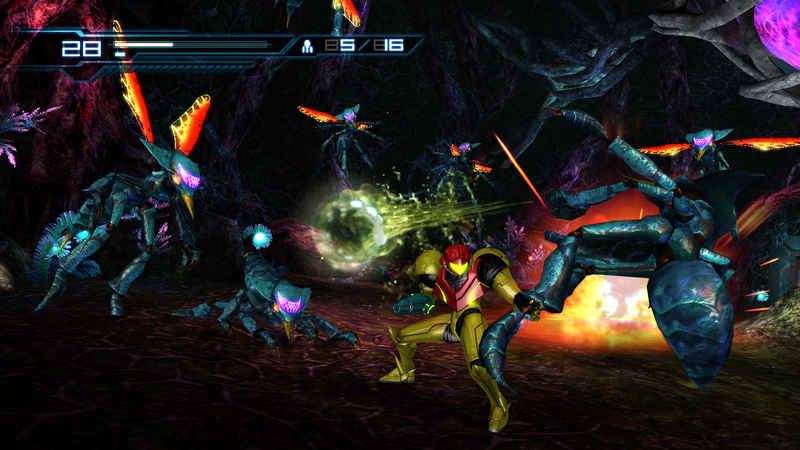 The beats always come regularly in Metroid, extending the rhythm out from the combat to the exploration with every new ability Samus collects. That pacing isn’t the problem in Other M; how those items are allocated are. When Samus goes under Adam’s command, he dictates when she is authorized to use the abilities she’s had since the prologue and often only after the player has spent a significant amount of time butting their heads against a situation that calls for them. One instance in particular has you running through a lava area, constantly losing energy from the heat as you do, before you’re granted the right to activate your Varia suit to negate the damage. It’s a needlessly arbitrary choice that robs the player of functionality and Samus of characterization. This new-found subservience is at odds with the expanded move set that allows her to ruthlessly eliminate her enemies. At best you could argue that Samus is neglecting to use her abilities out of some stoic respect for the authority of her CO. But the story does such a poor job establishing a relationship the player respects, and then grants it insane levels of authority over the player, that it’s hard not to resent it. The production values on Samus don’t help the situation either. The VO that tells the bulk of the story is delivered with flat acting that make her character look disinterested even when she is reminiscing about clearly traumatic events. There is also a huge disparity between the Samus in the suit and the one out- inside she stands ramrod straight and doesn’t flinch at danger, out she is an irritating teenager and a frail and awkwardly lithe adult. The end result really, really diminishes a great character. Other M presents an interesting dilemma for the Metroid franchise. Though many of the faults in the narrative are purely the result of bad decisions, its move to a third person polygonal world exposes tradeoffs that ultimately keep it from coming together. So where does that leave the series going forward? Maybe it doesn’t matter, as Other M is the logical conclusion to Fusion’s direction anyway, leaving Prime as the sole heir to the legacy of Super Metroid. For a game that insists on expanding the series’ lore by developing Samus as a character, it sure does its damndest to separate her from the player.